Gerhard Herzberg was born in 1904 at Hamburg, Germany. During the early 1920’s, he decided to follow a career in astronomy but was quickly dissuaded by the scarcity of jobs in the field. He enrolled at the Darmstadt Institute of Technology in 1924 where he obtained a bachelor’s degree in 1927 and a doctoral degree in physical engineering in 1928. Specializing in atomic and molecular physics, he completed his first postdoctoral position at the University of Göttingen in 1928 and a second postdoctoral assignment at the University of Bristol in 1929. In 1930, he was hired as a lecturer and assistant to the head of the physics department at the Darmstadt Institute of Technology. He built a large spectroscopic laboratory and supervised the research of several students and guest researchers. In 1935, Herzberg left Nazi Germany. The German authorities would only allow him to leave with about $2.50, and he sought refuge in Canada where he was offered a guest professorship at the University of Saskatchewan in Saskatoon. Three months later, he became professor in the physics department, a position he occupied for the next six years. His work focused mainly on molecular spectroscopy; that is, on the analysis of molecular structure. More specifically, Herzberg concentrated on the detection and the nature of free radicals. Free radicals are intermediary molecules in chemical reactions that only exist for several millionths of a second in the laboratory, but much longer in space. One of his first accomplishments at Saskatoon was to identify the CH+ molecule in interstellar clouds (clouds of gas found between stars). At the time, only two other molecules had been identified in such an environment. In addition to the numerous scientific articles that he wrote, he also published three books (1936, 1939 and 1945) that quickly became classics in atomic and molecular spectroscopy. 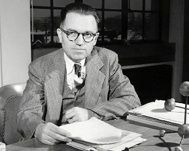 In 1945, the Yerkes Observatory of the University of Chicago offered Herzberg a position as professor of spectroscopy at their extensive state-of-the-art facilities. He studied comets and planetary atmospheres by perfecting methods that would go on to become standard techniques used around the world. In 1948, he returned to Canada and was named Principal Research Officer at the National Research Council, and Director of the Division of Physics shortly afterwards. He soon began to assemble a group of talented spectroscopists with specialities in various portions of the electromagnetic spectrum (microwaves, infrared, visible light and ultraviolet light), and created research teams in the fields of theoretical and solid state physics. Herzberg continued to add to his major scientific discoveries: he was the first to detect the hydrogen molecule in planetary atmospheres, the first to uncover the presence of water in comets, and the first to identify dozens of free radicals (including methylene CH2 and methyl CH3) in the laboratory and interstellar clouds. He also established the National Research Council of Canada as a world leader in molecular spectroscopy. In 1966, 1971 and 1979, he published three other books that each became a classic in molecular spectroscopy. 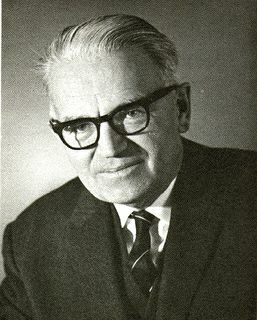 In 1969, the National Research Council of Canada created the post of Distinguished Research Scientist for him, which he occupied until his retirement. In 1974, the Council combined its astronomy and spectroscopy units and created the Herzberg Institute of Astrophysics, where he worked until his retirement in 1995. Herzberg died in Ottawa in 1999 at 94 years old. He had received numerous distinctions, including the 1971 Nobel Prize in Chemistry. Asteroid 3316 was named in his honour. In 2004, the National Research Council of Canada created its highest honour, the Herzberg Medal, to bestow upon a scientist whose research contributions are characterized by both excellence and influence.